A chugging car often indicates problems with the drive train, but the cause of the chugging might be difficult to ascertain. Most chugging is caused by one of three scenarios. Most manufacturers recommend replacing the fuel filter at 15,000 miles. Failure to replace the filter can result in poor fuel flow from the gas tank to the engine; this might manifest as a chugging effect. If the engine runs smoother under higher throttle positioning, and chugs once you slow down, replace the fuel filter. The catalytic convertor is a pollution control device in the exhaust that resembles the muffler. 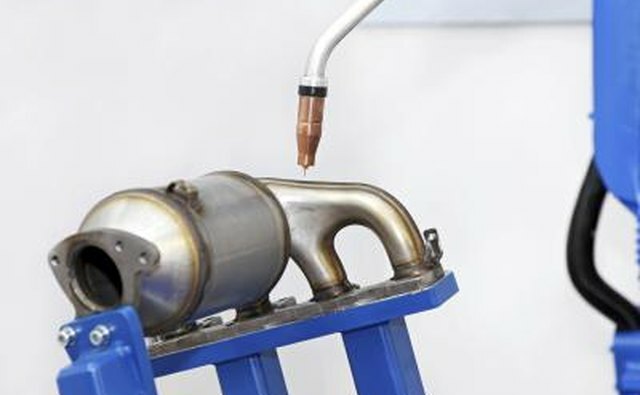 The catalytic convertor often plugs when it fails, causing a chugging sensation. The car is hard to start with a plugged catalytic convertor. If the chugging does not improve with throttle response, the catalytic convertor might be the culprit. 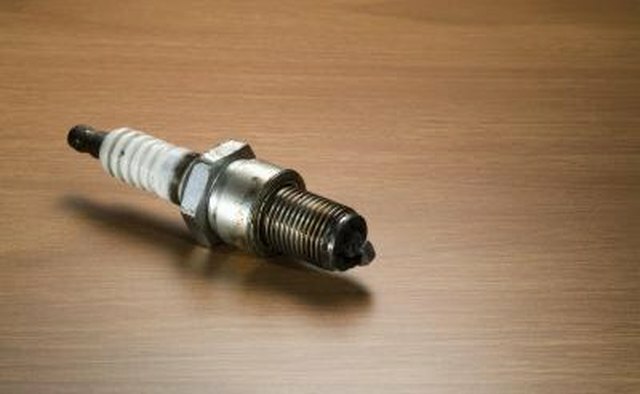 The spark plugs and spark plug wires -- or coil-on-plug (COP) packs on newer vehicles, --provide the necessary spark to ignite the air fuel mixture in the engine’s combustion chamber. When the spark plug, plug wire or COP fails, the engine misfires and chugs. This issue is evident at idle, and does not improve at any throttle position.